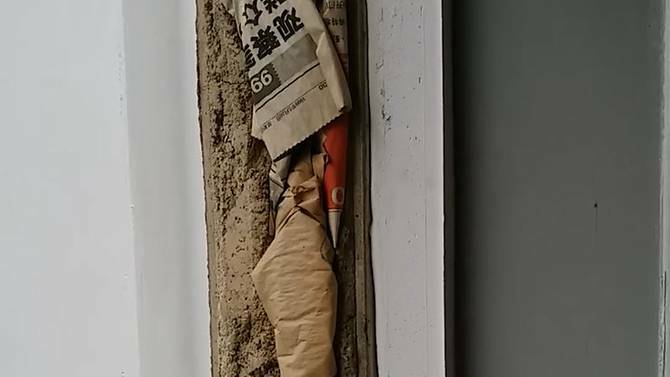 Recently, there’s been talk going around of newspaper found in a HDB wall, calling it “half cement half newspaper”. Since then, HDB has come forward to clarify that the use of newspaper was by a renovation contractor hired by the flat owner in 1999. The balcony was completed in 1984. We’re not surprised, because we’re in the window industry. Stuffing newspaper into window frame joints is fairly common practice back in the day. You know where else you can find newspaper stuffed into a window joint? KK Women’s and Children’s Hospital. We visited the hospital for personal reasons in 2014, and found this window at the ward. It’s the same thing. Newspaper stuffed into a window joint, and then a layer of acrylic sealant over the newspaper. There are many methods of filling in window joints, all of which costs money. Stuffing newspaper is easily one of the cheapest method of application which would give you a somewhat acceptable result. It’s not a new thing. Contractors in Singapore have been doing this for years. We have seen it in China as well, and we’re sure it happens everywhere in the world. Wait, you may be asking: Why do we need to have joints? Why do we need to fill them up? Read on. Basically, in most buildings, you leave a rectangular hole in the wall, where you would later fit a window. This hole in the wall must be larger than the window, or the window wouldn’t fit in. Thus, when you install the window frame into the wall, there’s a gap, or joint. The gap between wall and window frame exists because in construction, there is almost never a 100% fit. You need the allowances to fit a window frame in, since the sizes of the window frames and the concrete walls are never 100% consistent. 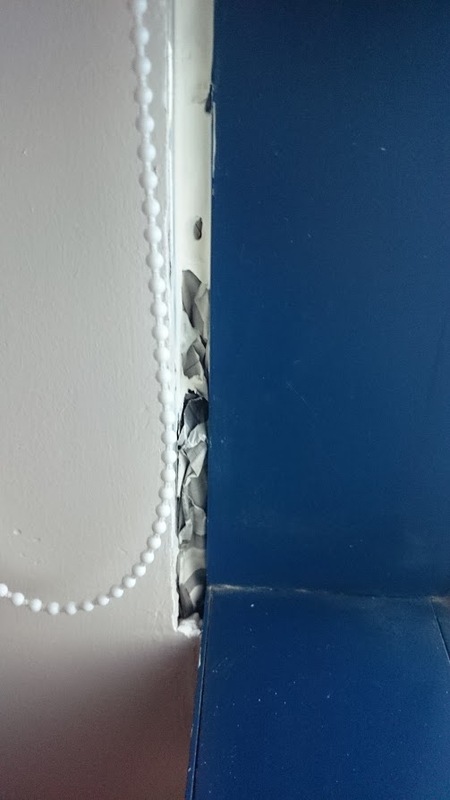 The method of filling this window joint (such as using newspaper) doesn’t affect structural integrity because windows are already mechanically fastened to the concrete walls. Technically, you could leave the gap empty and it still wouldn’t compromise the structural integrity – but you would miss the point of having windows in the first place. This is because an empty joint would allow heat/cold in, and even allow water seepage. So, the simple thing to do would be to weatherproof the joint, and that means sealing or grouting it with a suitable system. 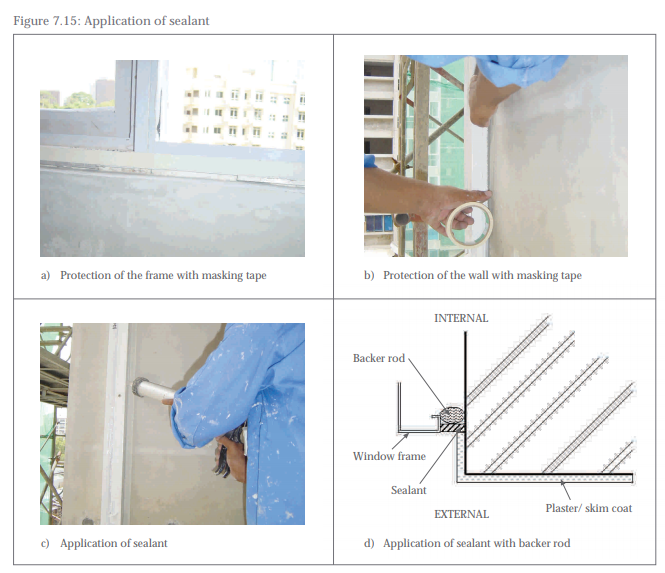 In this application, the two important factors to consider are water-tightedness and insulation – that is, whether your window frame joint will be able to keep water and heat out of the building. With all honesty, stuffing newspaper isn’t the worst thing to do. When properly stuffed, newspaper could plausibly be a good insulator. It’s definitely better than simply leaving it empty. In Singapore, the most common (proper) practices are filling the joint with mortar cement, and with polyurethane sealant. However, polyurethane foam is catching on as a preferred method due to its ease of application, and most importantly, its excellent insulation properties. We’ll go through some of the methods. Mortar is generally used in cases where joint width is slightly larger, and is usually known as “grouting”. 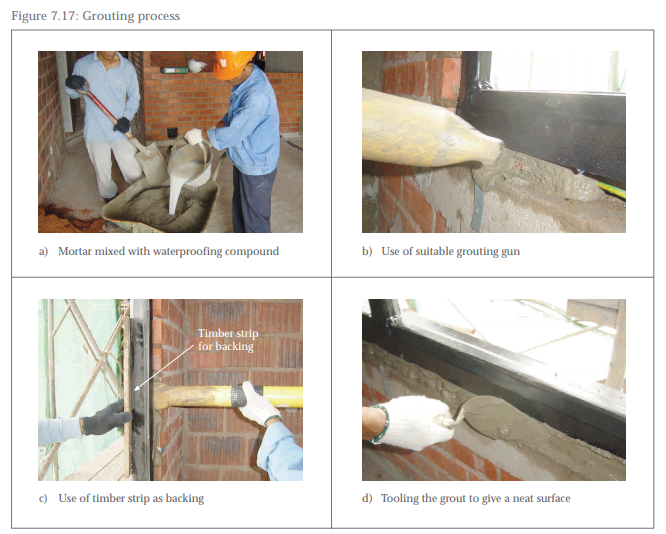 Here is the grouting process as a screenshot from BCA’s Aluminium Window guide. 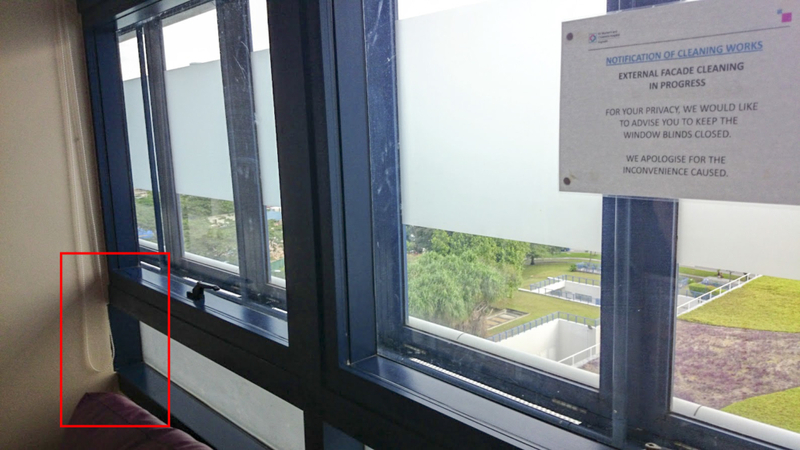 This is one of the most common ways to fill a window joint in Singapore, but has long been abandoned by other countries, such as Germany, USA, and even China in favour of using PU foams. The main reason is that while this is usually the cheapest way to fill a window joint, it does not give a window good insulation and water-tight properties. PU Sealants are generally used when the joint width is smaller. Here is the sealing process as a screenshot from the same BCA guide. Using PU sealants is a much better solution in terms of making a window joint water-tight, but you still compromise on insulation properties. Most importantly, it’s significantly more expensive. Polyurethane foams have become the most prevalent way of filling and sealing window gaps in most developed countries due to its ease of use and superior insulation properties. PU foam is a very affordable method of filling window joints due to its large foam volume derived from a single can. In general, most users can expect up to 30 litres of cured foam from a single can of Soudal 750ml PU foam – that means one can of foam can be used to fill several windows. It also has superb insulation properties, and can be totally watertight if applied properly. However, PU foam can be susceptible to UV radiation and thus requires an additional step to cover the foam. This can be done by sealants (acrylics or PU), tapes, mortar, or with window elements such as sills, casings, or caps. In this scenario, PU foam presents a very simple, cost-effective method of filling windows that would allow contractors to easily fill window joints without complicated machines. Beyond that, PU foams offer very good properties. In particular, its high insulation factor will save energy in the long run. 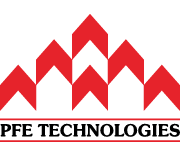 PFE Technologies has spent significant effort in the introduction of using PU foams and has so far found success in many new projects, especially those with a focus on energy-saving. As part of our green initiatives, PFE Technologies Pte Ltd has introduced Soudal PU foams more than ten years ago (one of our other green initiatives is in switching from plastic packaging to aluminium). We have recognized for a while that many window contractors were still filling window joints in questionable ways, and went about introducing PU foams and getting the industry to make a change, as other developed nations already did. We have been distributing and supporting the Soudal brand of PU foams in Singapore because of the superior quality of Soudal’s products. The cans we supply are all made in Belgium by Soudal, the world’s largest independent producer of PU foams. With each can, users can be assured of the highest technology (such as semi-open cells), and superb quality made with proprietary formulations and consistent raw materials. You can learn more about Soudal’s PU foams here. Here are our PU foams in our product portfolio. The news of the stuffed newspaper this morning shows how long the effects of bad building practices can last (in this case, 19 years), and why it is important for contractors to choose proper application methods. We were not surprised by the news, but judging by the responses of the article, it appears that most people would never have thought that newspaper would be used as a building material. We agree – it never should.